Published by The Wild Rose Press. 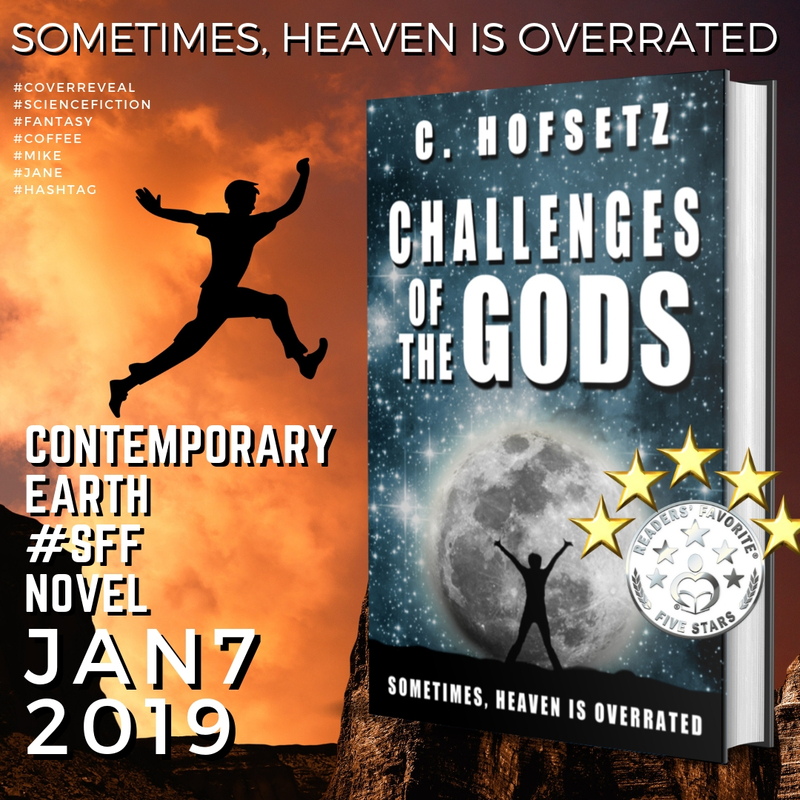 Click here to read a summary of all reviews for CHALLENGES OF THE GODS. Editorial reviews, Bloggers, and Goodreads and Amazon reviews. Have you ever read a book because of its trailer? Well, maybe this changes today. Turn up the volume! After Mike goes through a gut-wrenching betrayal by his fiancée, he finds himself in what he thinks might be the afterlife. But this is no heaven: the gods made a mistake, created another Earth in a parallel universe, putting both universes in peril. They need someone from his planet to destroy the alternate, and Mike is randomly selected for the job. Trapped in an impossible choice, Mike accepts his mission and returns to an Earth—and a body—so unlike his own. There, he meets Jane, who is (unbeknownst to him) the secret leader of an organization bent on tracking down Earth’s saboteur. In the face of her passion for humanity, Mike’s resolve falters, and he’s no longer sure that destroying this alternate Earth is the right thing to do. Praise to Reviewers - Summary of all reviews for CHALLENGES OF THE GODS. Editorial reviews, Bloggers, and Goodreads and Amazon reviews. CHALLENGES OF THE GODS EXCERPT - We're still a few weeks away from pre-ordering. Meanwhile, people have asked me for an excerpt of my #SFF debut novel to be published by The Wild Rose Press. Here it is!